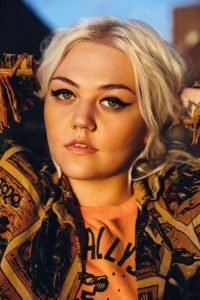 On Sale Friday, Jan. 18 at 10 a.m.
Elle King’s 2015 gold-certified debut album, “Love Stuff” — a sultry mix of rock and roll, blues, and country, with a twinge of pop — featured the breakthrough single, “Ex’s & Oh’s,” which earned her two Grammy nominations and was certified double platinum. The track, about leaving behind a string of brokenhearted exes, hit No. 1 on Billboard’s Hot Rock Songs Chart, and topped the AAA, Hot AC, and Alternative Radio charts, leading King to become the second female artist in 18 years to reach No. 1 at the latter format. King’s latest album, “Shake The Spirit,” transcends its influences, with emotionally cathartic songs that manage to be both witty and vulnerable. They are also relentlessly candid. On, “Man’s Man,” King cops to infidelity while calling out an ex’s transgressions. On, “Sober,” she insists she’s fine and will fix everything when she’s clean.